There were 3 posts published on January 15, 2018 (this is page 1 of 1). Last Thursday, I attended an RPD Community Meeting at Lions Park Community Center. It was a meeting to answer neighborhood concerns about the recent incident of delayed police response as well as answer any questions about crime in the area. A handful of neighbors attended, the usuals I’ve become used to seeing at CAC meetings, and a bevy of police officers, detectives, and representatives from the Communications Center. I have two pages of notes on that meeting that I would like to type up into a report, but the point of this post is how at home I found myself feeling in that room. After three years of conducting CAC meetings, I was all too happy to volunteer questions when the presenters asked for them. I didn’t organize the meeting nor was I in charge of it but I certainly felt right at home quizzing these people for things I wanted to know. In short, I may indeed miss being a CAC chair. More than that, I miss that I wasn’t able to run for City Council. I have not forgotten how absolutely jazzed I used to feel after my CAC meetings. The small taste I got of it Thursday reminded me that this is where I’m in my element. I hope some day I can get there. 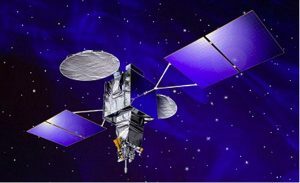 Here’s an interesting story from 2016 about spy satellites. Amateur satellite spotters determined that the “PAN” satellite of the U.S. Government were tiptoeing up next to geostationary commercial communications satellites so they could vacuum up the signals being relayed through them. Speculation is that PAN was able to triangulate the position of satellite phones used by terrorists, enabling drone strikes. This would make a fun new hobby. After launch, the enigma became even bigger. PAN was placed in a geostationary orbit and observations by amateur satellite trackers (including this author) from Europe and South Africa revealed very unusual behavior. Every few months—usually once every six months—PAN moved to a new position. In a mere four years time, it moved at least nine times to various longitudes scattering between 33 and 52.5 degrees east (see my blog post “Imaging Geostationary satellites, and PAN’s past relocations”). This costs fuel, and it is something you normally do not do with a geostationary satellite, as liberally spending fuel drastically shortens the satellite’s operational lifetime. In late 2013, the relocations suddenly stopped and PAN has remained at longitude 47.7 degrees east. This active stationkeeping at this longitude means it must still be operational, although the satellite obviously has ended its previous roving state. All very mysterious! What was this spacecraft doing?